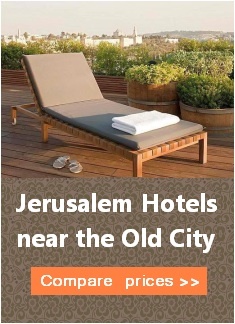 The Muslim Quarter is the largest of Jerusalem‘s quarters, covering 31 hectares (76 acres) and housing 22,000 residents. Sitting in the northwest corner of the Old City, the quarter is accessed through St. Stephen‘s Gate (Lion‘s Gate), Herod‘s Gate, and Damascus Gate. At the southern edge of the quarter sits the Temple Mount, where the Al-Aqsa Mosque now stands. At the heart of the Muslim Quarter is the shuk, a bustling confluence of outdoor marketplaces, consisting of a maze of intertwined streets and alleyways, some of which date back a thousand years. One can find spices, textiles, meats and vegetables, along with the usual touristy fare. From the 1800‘s until the 1929 Palestinian Riots, Jewish residents outnumbered Muslim residents. Today 60 Jewish families live in the quarter and numerous yeshivot can be found there. Many Christian sites can be found in the Muslim Quarter, including the first seven of the Stations of the Cross as well as many churches, most famously St. Anne‘s. 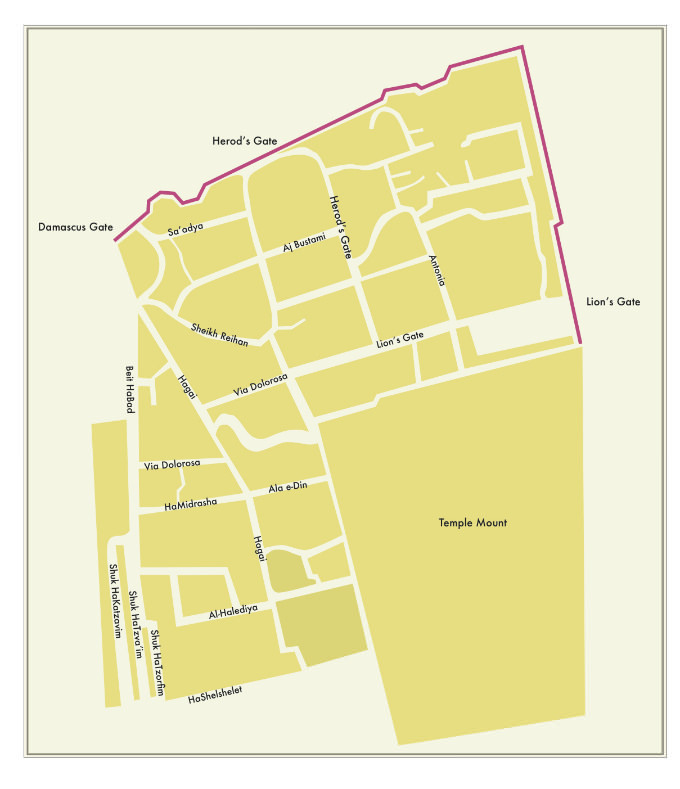 The Muslim Quarter is also home to many Roman and Crusader sites. Travelers hospices, hotels, and restaurants are abundant in the Muslim Quarter.